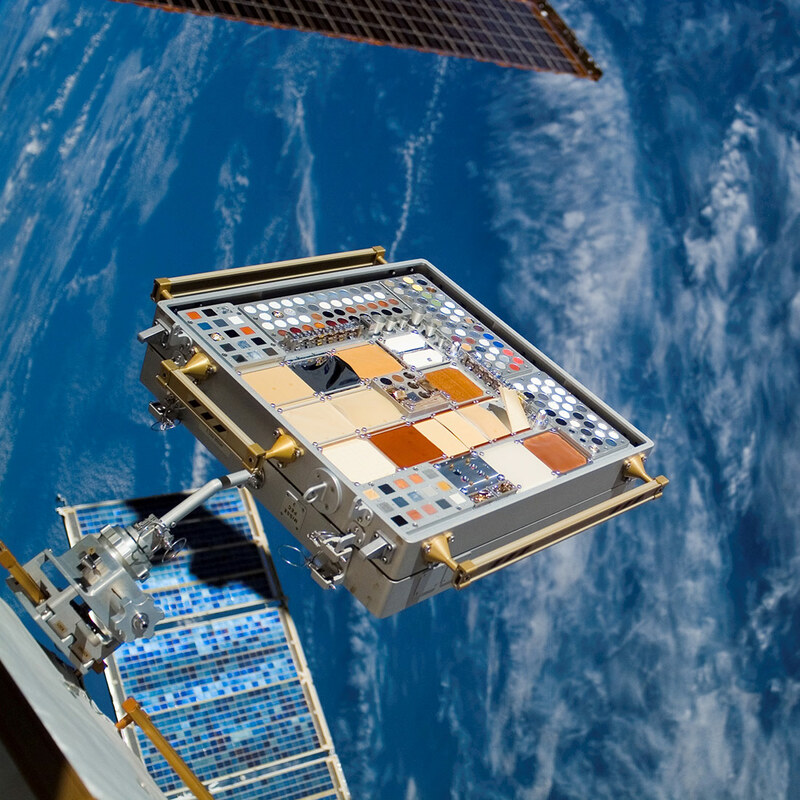 Implementation partner Techshot has a long history of developing facilities to further enhance the capabilities of the space station U.S. National Lab. 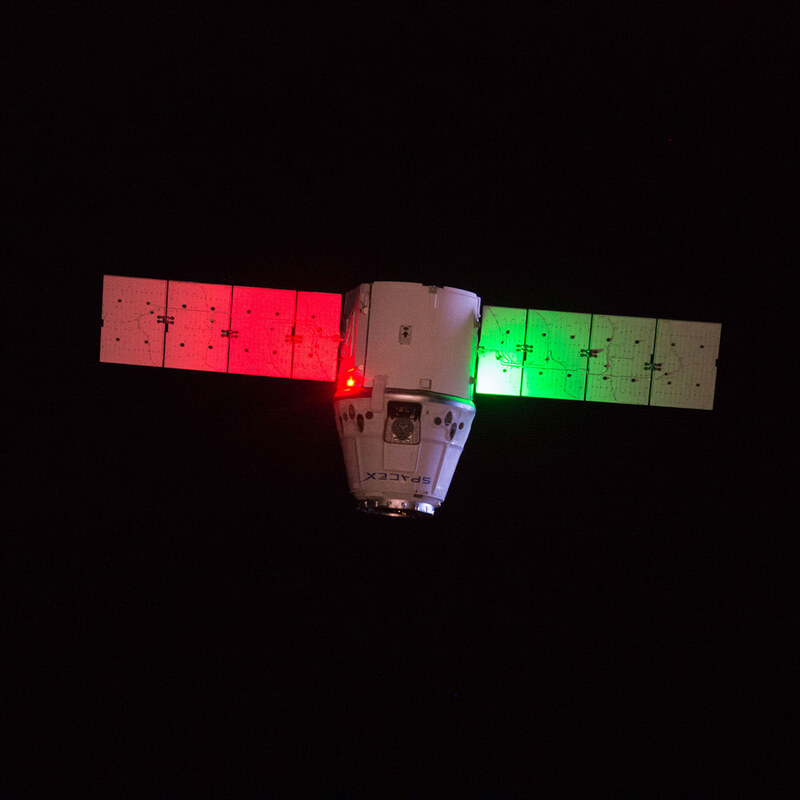 The latest Techshot facility, launching on SpaceX CRS-14, will provide a research platform with artificial gravity onboard the space station. Techshot and Tupperware Brands Corporation helped develop new plant growth hardware also launching to the ISS on SpaceX CRS-14. Looking ahead, Techshot is working to develop several new facilities, including a platform to manufacture human organs and tissues in space. Over the years, Techshot has been instrumental in helping to provide meaningful applications onboard the International Space Station (ISS) to support an array of research for the scientific community. Part of what makes the space station such a unique platform for innovation is the ISS U.S. National Lab, managed by the Center for the Advancement of Science in Space, which allows companies like ours to propose and develop facilitates to further enhance the capabilities of the orbiting laboratory. By bringing new platforms to the ISS to enable research, we provide additional channels for scientists to do more experiments, which subsequently opens the door for a greater capacity to inspire breakthroughs. The latest Techshot facility will be part of the flight manifest on the upcoming SpaceX cargo resupply mission (SpaceX CRS-14), and our team could not be more thrilled with its prospects. Techshot’s Multi-use Variable-gravity Platform (MVP) will provide a research facility with artificial gravity on the space station. The MVP—a facility about the size of a microwave oven— can produce artificial gravity in 0.1 g increments, up to a maximum of 2.0 g. The environment inside the MVP can be monitored and controlled remotely from Techshot’s offices on the ground. 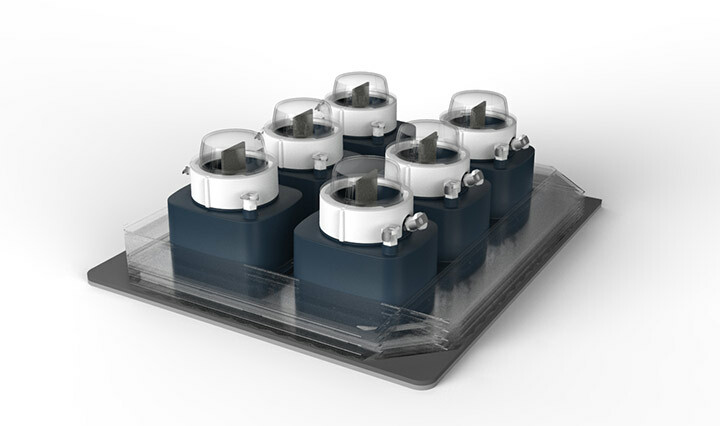 The MVP consists of two internal carousels, each capable of hosting six separate experiment modules that can accommodate a wide variety of sample types, such as: tissue chips, cells, protein crystals, plants, fish, worms, and Drosophila melanogaster (fruit flies). 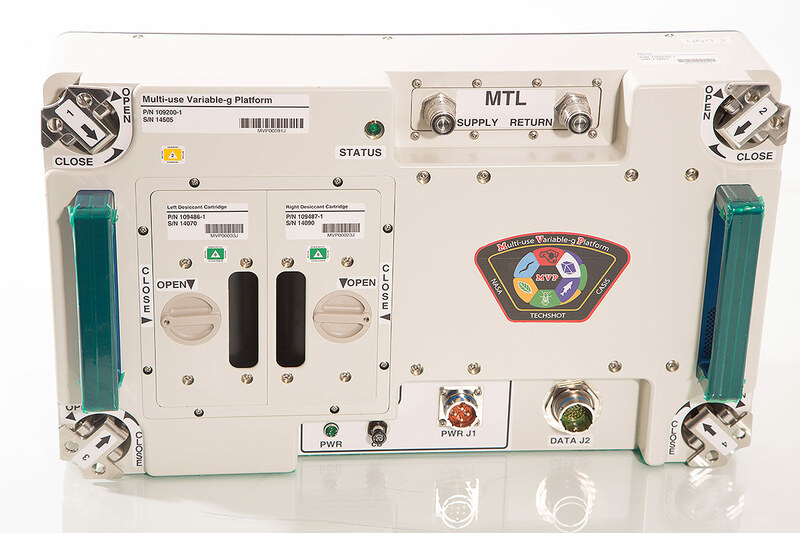 Individual MVP experiment modules will launch to the ISS on cargo resupply missions. The modules can be customized to fit the sample type and experiment protocol of a given investigation, with options for lighting, video, still imagery, and microscopy. To accommodate larger experiments, both carousels on the MVP can be removed in orbit and replaced with fixed platforms. However, before investigators can fully utilize the MVP, the facility must be validated onboard station. An experiment, also launching on SpaceX CRS-14, will use fruit flies to test the facility to ensure it works as intended. The MVP will be especially important for fruit fly research because it will allow larger sample sizes than previously possible and can support fruit fly colonies for multiple generations. Approximately 77% of human disease genes have analogs in the fruit fly genome. The versatility of the MVP will enable longer-term and more advanced experiments onboard the ISS and will help scientists improve their understanding of a wide range of biological processes that affect human health—both on and off the Earth. 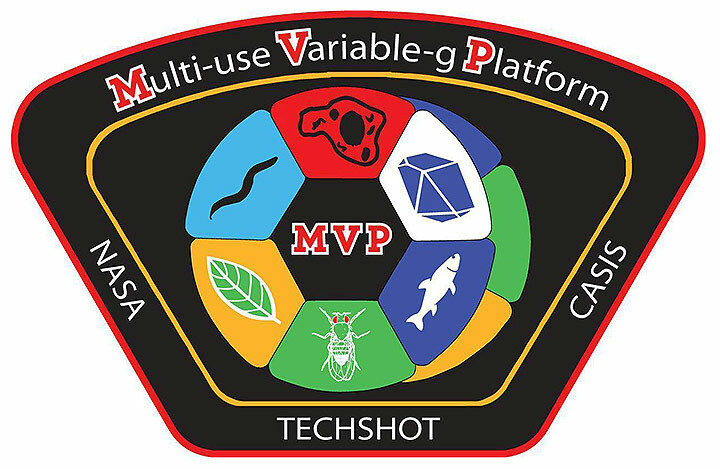 The MVP is just the latest entry in Techshot’s comprehensive catalog of flight-qualified research equipment onboard the ISS—joining the Bone Densitometer, the Advanced Space Experiment Processor, and the Analytical Containment Transfer Tool. In addition to the MVP, Techshot helped develop another piece of equipment launching to the ISS on SpaceX CRS-14—this one for growing plants in space. The new plant growth hardware, called the Passive Orbital Nutrient Delivery System (PONDS), was developed for NASA by Tupperware Brands Corporation and Techshot. PONDS will be used with the ISS Vegetable Production System, VEGGIE, and will be tested in space for the first time on this mission. In an effort to reduce the frequency that astronauts must water plants growing in space, NASA began exploring new design concepts for the component of Veggie that holds the root structure of the plants, the so-called “plant pillows.” Researchers at NASA’s Kennedy Space Center developed a system for passive nutrient delivery that they called PONDS. Tupperware and Techshot partnered to further develop the concept and manufacture spaceflight-qualified PONDS plant growth units. Tupperware applied its deep knowledge and longstanding success in designing for manufacturability, injection molding, and food-safe construction materials to yield a system that utilizes capillary forces and unusual geometries to replace gravity. The resulting units are expected to provide plants grown in space with a near functionally-equivalent growing environment to their terrestrial counterparts. Techshot looks forward to sending additional new equipment to the ISS in the near future—including the world’s first space-based 3D BioFabrication Facility, which is aimed at manufacturing human organs and tissues in space for use back on Earth. Techshot is also developing a prototype multi-material in-orbit 3D manufacturing facility, called the Techshot FabLab, capable of printing with materials such as metal, plastic, ceramics, and electronics. Another prototype device in development is a large centrifuge to provide artificial gravity for rodent research on the ISS. As an official the ISS National Lab implementation partner, Techshot handles all aspects of a research investigation for its customers. From the design and manufacture of spaceflight-certified research hardware to all aspects of integrating the hardware and its science payload, the company is a one-stop beginning-to-end solutions provider. We firmly believe that with the continued enhancements to the station, the tremendous support we garner from the ISS National Lab and NASA leadership, and the general excitement building around the frontier of space, we are entering a Golden Era for research on the space station. Our team is happy to be one of many that is enabling greater access and opportunity for researchers to leverage this incredible research facility in low Earth orbit. Techshot is helping to build our collective future in space, one payload at a time.